Samsung's Galaxy S8 and Galaxy S8+ were finally released this past Friday, and it seems like the phones are already well on their way to becoming a smash hit. The South Korean electronics giant announced Monday morning that combined Galaxy S8 and S8+ pre-orders out-sold Samsung's previous-generation Galaxy S7 and S7 edge by 30%. As a quick reminder, the S7 and S7 edge were Samsung's best-selling phones ever. When an early adopter buys a new flagship iPhone, he or she knows that there will be a full year to wait (and save up money) before an even better new flagship iPhone launches. In Samsung's case, however, there's a much shorter buffer in between flagship releases. In the first half of each year, Samsung updates its Galaxy S lineup. The Galaxy S8 and Galaxy S8+ are the company's flagship smartphones for the first half of 2017 and as you read in our Galaxy S8 review, they're incredible. 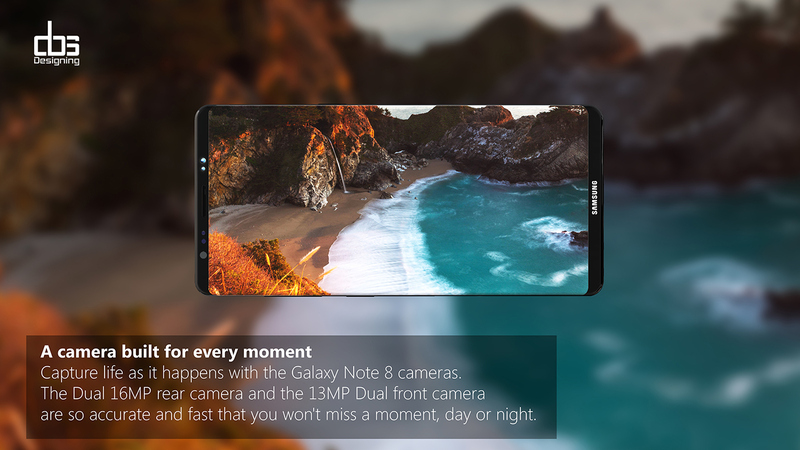 Then, in the second half of 2017, Samsung will update its Note line with the all-new Galaxy Note 8. If the Note 8 looks anything like this, Galaxy S8 and S8+ owners should prepare to be very, very jealous. Graphic designer Muhsin M. Belaal Auckburaully teamed up with YouTube channel DBS Designing to completely reimagine Samsung's Galaxy Note series using design cues from the Galaxy S8 along with rumors we've heard so far. The results, as you can see, are absolutely stunning. Unlike most concept smartphones we see out there, this Galaxy Note 8 is actually rooted in reality. It likely doesn't look exactly like the Note 8 Samsung will release later this year, but we're willing to bet that it's close. Hopefully Samsung sticks with the precedent set by the Galaxy S8, however, and ditches that distracting logo from the front of the phone. As for specs, Auckburaully stays well within the realm of reality by sticking with the rumors we've heard so far. The Note 8 should feature a huge 6.4-inch QHD+ display and a screen-to-body ratio that's even better than the 83% ratio on the Galaxy S8. Other expected specs include 6GB of RAM, 64GB or 128GB of storage, microSDXC support, a new dual-lens rear camera setup, an iris scanner, and a huge 4,000 mAh battery that hopefully doesn't explode. 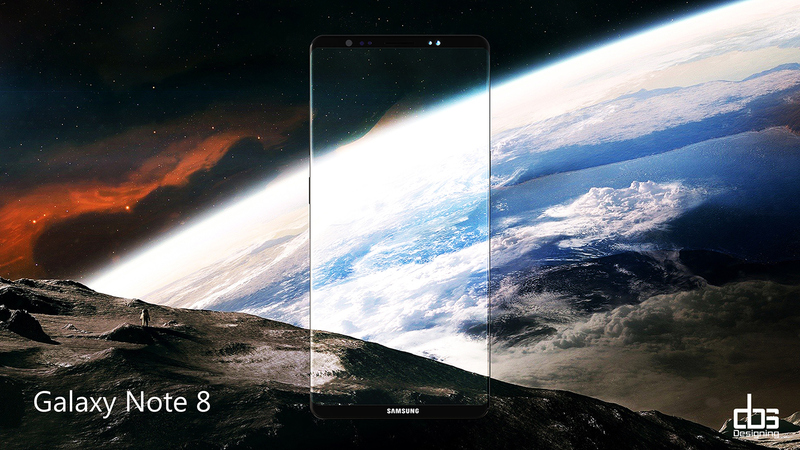 More images of Auckburaully's Galaxy Note 8 design can be seen on his Behance page, and a video featuring the design is embedded below.